Nothing is official until Apple announces it, so hold onto your horses. However, the Wall Street Journal is citing sources from within Apple's supply chain in their reports. And they have been right about Apple's production a few times before. There is a smaller iPad, according to them, that will measure 7.85 inches diagonally. The iPad's screen size has not changed since the very first generation model released back in 2010. However, we are now seeing a market for smaller, budget tablets that seem to duck under the Apple tablet's dominance. There have been a large amount of rumors and speculation about a smaller iPad (referred to as the iPad mini by many) that Apple will release this year to compete with the Kindle Fire line from Amazon and the ASUS-produced Nexus 7 from Google. Bloomberg has reported earlier that the new iPad mini will have an AU Optronics- and LG-manufactured, lower resolution screen. 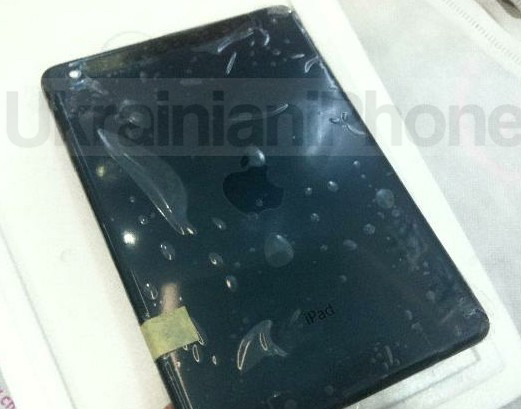 It is said that the new iPad mini is being produced at a relatively new Foxconn facility in Brazil. Some alleged photos of the new tablet were leaked by a Ukranian website very recently. I predict that we'll see a Retina Display on the smaller iPad because Apple seems to be bringing the super-high-res display technology to every product line lately and they will likely not drop the premium screen. But it is certainly possible that they do it to make it cheaper. However, the iPad mini will then be competing with the iPod touch to a certain extent if it drops too low in price. Before the iPhone release, there were rumors of the iPad mini event being held in October. Let's wait and see how everything unfolds.